Coffe en tram is a television program by Jean-Pierre Coffe at RTL Belgium. In this program Jean-Pierre Coffe arrives by tram to visit an interesting building in Brussels with a guest. 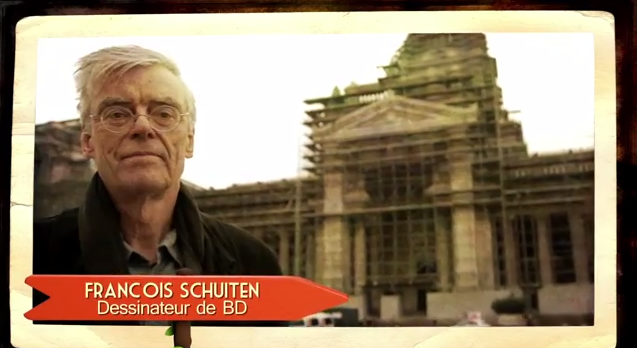 In the episode of March 3rd, 2014 about the Marolles neighbourhood the guest was François Schuiten. Schuiten and Coffe visited together the Palace of Justice in Brussels.